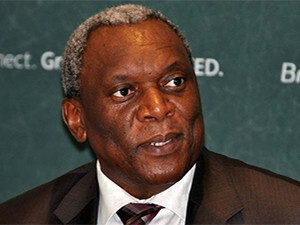 The Internet of things requires everyone to adapt to changes that are shaping the future, says telecoms minister Siyabonga Cwele. The South African government must adapt to the reality of the Internet of things (IOT) and fourth industrial revolution in order to shape the country's future, said telecoms minister Siyabonga Cwele. Speaking at the Southern Africa Telecommunication Networks and Applications Conference (SATNAC) this morning, Cwele said government must "adopt softer regulation and adopt technology to improve service delivery". Now in its 19th year, the SATNAC conference is taking place in George, Western Cape under the theme of "broadband evolution ? unlocking the Internet of things". Cwele said: "IOT is the main driver of the fourth industrial revolution." He explained: "This revolution will bring enormous benefits to those who will harness and actively participate in it. We hope this conference will prepare us as a nation to fully exploit the IOT for the benefit to government, business, civil society and all our people." According to Cwele, governments need to adapt as the convergence of physical, digital and new technology platforms enable citizens to engage rather than being mere recipients. The minister noted it is not only government but businesses as well as people that need to adapt to the reality of IOT and the fourth industrial revolution. "The people must adapt. This revolution will not only change what we do but also what we are. It will change consumer patterns and change our notions of privacy and ownership. "Business must also adapt or die," he said. The minister warned those that choose to ignore or resist the reality of IOT and the fourth industrial revolution will be "punished or disciplined".